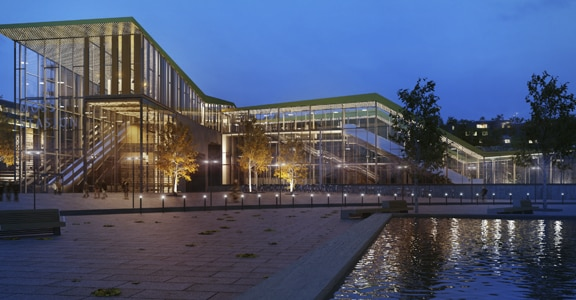 Using VDC principles, BIM tools, cloud-connected mobile devices, and virtual-reality headsets, Mortenson Construction enables stakeholders in the office and field to go inside 3D models and plan all aspects of construction while the project is still in the design phase. The results include more predictable projects, higher quality, lower cost, and owners who are more satisfied as well as more likely to require BIM on future projects. In construction, you’ve got to work fast without sacrificing quality—but complex projects with unusual design features and building materials can make that a challenge. Mortenson Construction meets the challenge by using technology to connect design with delivery. With virtual design and construction (VDC) principles and Building Information Modeling (BIM) tools, the company enables construction teams to go inside the digital project model even while design is ongoing, helping them to visualize building components more clearly and identify problems earlier. U.S. Bank Stadium, the recently opened home of the National Football League’s Minnesota Vikings, set a new standard for sports facility construction projects. An architectural marvel, the stadium seats up to 70,000 people and has iconic design features including a transparent roof, zinc metal exterior panels, the 5 largest pivoting glass doors in the world, and the closest field-side seats in the NFL. For this project, Mortenson, the general contractor, teamed with HKS Architects, giving the construction team visibility into the project model well before construction began. 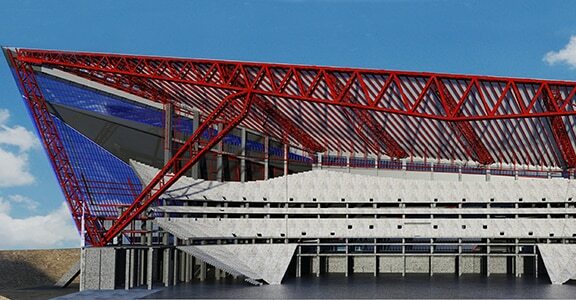 During the design phase, Mortenson conducted the entire process of building the stadium virtually. Animating building components like retractable seating made possible the early identification of issues. By figuring out exactly what construction would entail, the company was able to use lean principles and just-in-time delivery methods, driving higher quality at lower cost. When construction started, the company digitized the job site, using cloud-connected BIM tools and tablets to enable stakeholders in the field to visualize their work in context and spot problems earlier. For example, after the daily digital lift drawing—a map of concrete pours—was created in the office, the senior surveyor used it to lay out pours, then shared it with the concrete team. As a result, concrete was poured in the correct locations, and subcontractors got a fuller picture of what the job should look like upon completion. On a project with 1,500 concrete pours and 100,000 cubic yards of concrete, this was a big win. To immerse stakeholders in the 3D model, Mortenson used virtual-reality (VR) headsets. Wearing them, stakeholders could experience exactly what the finished space was supposed to look and feel like. This helped the owner understand and buy in on the design, and enabled the owner to identify locations for sponsorship and art installations well before any walls were framed. 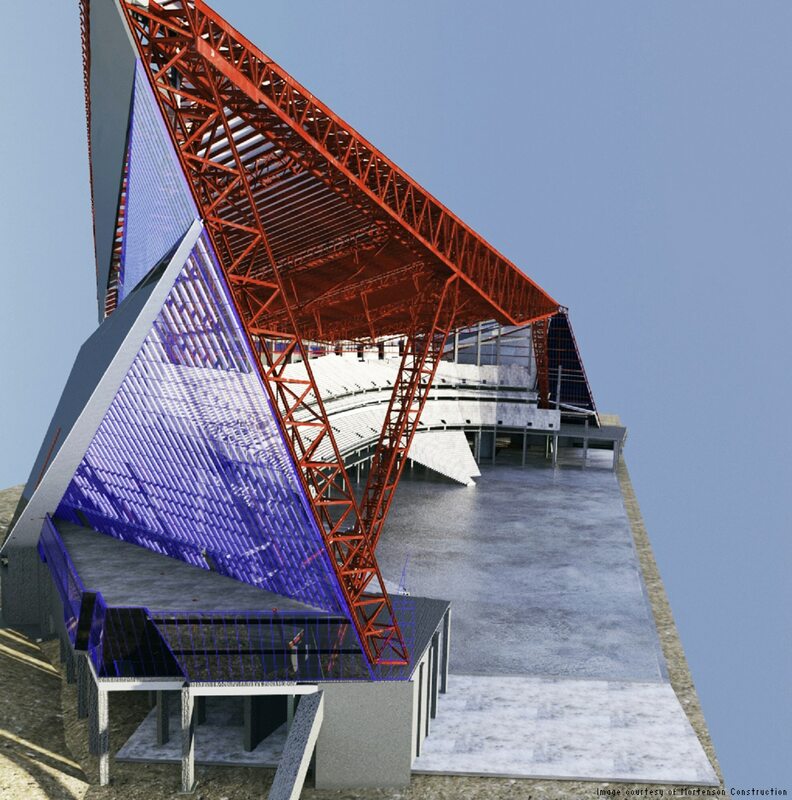 Using BIM with VR and mobile technology to connect design and delivery, Mortenson was able to complete U.S. Bank Stadium a full 6 weeks early—a first for a U.S. stadium—at a cost of hundreds of millions of dollars less than the cost of similar stadiums. With the savings, the owner added enhancements throughout the facility, including 2,000 high-definition flat-screen TVs. The owner is quite satisfied with how construction went, and is now using BIM to lower costs and optimize building performance. 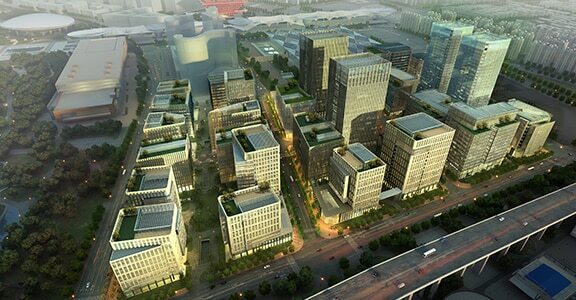 As for Mortenson, it has set itself up to succeed in a world where owners increasingly demand BIM on their projects. 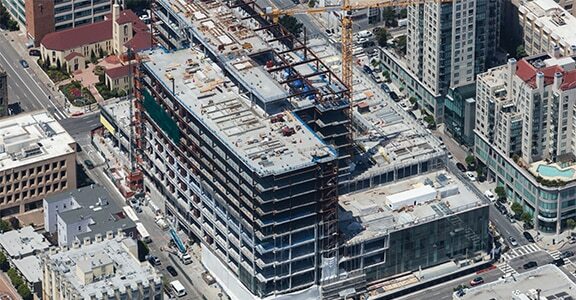 Using BIM to tightly coordinate teams on San Francisco hospital project helps HerreroBOLDT address sky-high real estate costs, seismic compliance and complex technology of the hospital. Sweco creates connected designs today and envisions a more connected future.